We’re always dead chuffed when a gorgeous and different independent store, like our lively E-Side client, gets its creative wares featured in amongst the usual big brand retailers in shopping round-ups like this. We love diversity and difference and will choose this route anyday over the convenience of buying gifts ‘all under one roof’. Chaise longues woven from old remnant rags and t-shirts; dining chairs moulded from old Coca-Cola plastic bottles; funky lampshades upcycled from washing machine drums and spraypainted in acid colours – these are definitely things you won’t find on the high street! 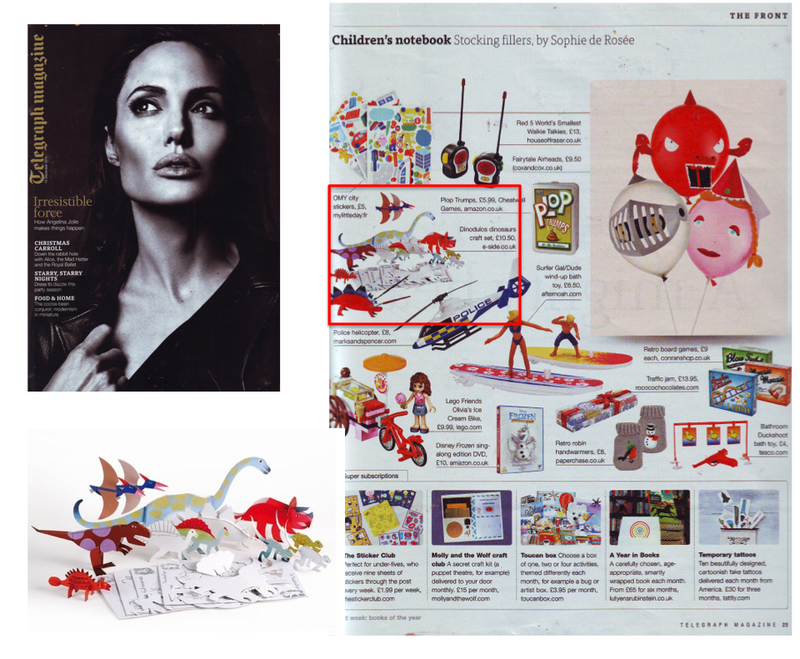 Anyway, the lovely folk at Telegraph Magazine chose to feature E-Side’s paper dino craft kit in its Stocking Filler gift guide for children. And happily (last time we were informed), the piece of coverage generated sales and significant traffic to the website on the day.